Is This The Biggest Lie In Photography? A couple other considerations besides the color of the light are the flash duration and, the size of the light. Lee also mentions that when we think about quality of light we don’t generally think about flash duration or sync speed but it’s definitely something we should consider. So that’s it. Color and Flash Duration. So many photographers will argue that there is something else which is “changing the quality of light” but nobody can actually explain to me what it is. Even if there was some sort of magic flash tube that could make images look “better,” wouldn’t that “magic” be lost when you put it behind a modifier? Any photographer who has studied lighting knows that the size of a light source determines how hard or soft the light will be. It’s not actually distance from the subject that determines this but the fact that the closer a light source is to subject the larger it will be in relation to that subject. A larger light further from a subject than a smaller light placed closer to a subject can produce softer light. Luckily we have modifiers that we can add to our lights to change their size and shape. There’s a lot of hocus pocus flying around the internet about flash modifiers and for the most part I think it’s pretty silly. The shape of a light source can help as well but it isn’t as important as many people make it out to be. Softboxes are the standard modifier that I will compare everything else to. At it’s core, a softbox is simply used to turn a small light source into a larger light source. You can buy totally different sizes of softboxes in a range of different shapes but I would argue that their size is the biggest defining feature. Most softboxes have inner baffles that “soften” the light even more. This simply means that your light will leave the front of the softbox more evenly from edge to edge. I’ve had photographers argue with me that softboxes need to have white interiors rather than silver or that they only use Softlighters because the light is “so much softer” and I’m not buying it. If you want “softer light” simply use a bigger light source. If you want more contrast in your lighting, move your light closer to your subject. Where did this “light quality” crap come from? So then what is this “quality of light” that photographers like talking about? Perhaps one of the reasons that we are constantly confused by lighting equipment is that we are comparing our unedited work to highly edited images online. We see a picture and assume that it looks amazing because it was photographed with a Profoto Beauty Dish when in reality it has a unique “look” that was produced in Photoshop. If you tried to reproduce the original raw file you would find that any similarly sized light source would be capable of producing an almost identical shot. Thats hitting the nail right on the head! It isn’t the quality of the light but how the photographer uses the light. I laugh when I hear a guy holding a camera talking about his “eye” or his creative ability and not give any credit to the physics of light. If you understand the math, you’ll get better pictures. A photographer who worked for me say it best….Good photography is 80% luck and 20% skill but the more I shoot the luckier I seen to be. And I always hated math, who knew. That’s the biggest load of crap I have ever read. Good photography is 80% Preparation and Eye. Not luck. Except to state that you can’t base quality on the cost, I can’t see where the article says much at all… except they didn’t address consistent light from your light during a shoot. If you are happy with the light you receive, then be happy with your light and don’t worry about buying the “best” known light. Just buy what works for you. The source may not be that important, but the modifier can greatly affect the light quality. that being said, you still don’t need the expensive stuff. I disagree. For most cases obviously the light source is not all that important. But there are cases, copying artwork for example, where having a high quality light source that is accurate and delivers a full spectrum, can make the difference between getting ALL of the colours correct or not. This is also true for extremely demanding clients who have paid a lot to achieve certain colours in their logos or products. Nothing compares to a good studio light, sorry. I have 6 Nikon flashguns, and would still use proper strobes in the studio. For real soft light, and less work on the computer a good balanced strobe beats a flashgun 10 fold. Good photographers are all around us, some use good some get away with other. I love a good balanced studio light, it takes less thought and less time, your trying to make money, make the tool work for you. One strobe costs and two or three flash guns costs are comparable. Lee Morris knows this. Quality of light and kelvin, are worth every penny, or the strobe industry would be dead also. No I doubt Lee sold his big lights, Just like Joe Mc Nally selling his hahaha. without going into geek mode…. good ,consistant, clean light that saves you from having to retouch…… is invaluable! If you are a hobbiest it probably will never matter to you. I enjoy a lot of articles and videos from F-Stoppers, but honestly this article is very counterproductive, and the points it is making are not why photographers buy better lights. It takes 6 – 10 flagship flash guns to stack up to 1 single Profoto B1 Air ($2095.00). It would cost you around $2700 to purchase 6 speedlights alone, and that’s not including a small fortune in batteries. It is in fact the power output that ultimately drives photographers to buy better lights. The overall quality of the light is primarily driven by having enough power to place your lights where you need to. You will struggle to achieve even lighting with three speedlites stacked together. Realistically, even with all three at full power, you would have to keep the light very close to the subject, especially if you’re shooting in high speed sync. You need much more power to fill bigger light modifiers and to get your light farther away from the subject while still getting soft even coverage. It is more reasonable to argue that most mono lights are close enough in terms of “quality of light.” But even that leaves out some important considerations, and speedlites really should have been left out of the comparison, because they are not more cost effective. In terms of comparing one mono light to the next, it’s hardly light quality that drives our decisions there either. Yes, they’re all close enough when comparing lights of the same power, in terms of light quality. However, what drives the choice is convenience and ease of use. Presently, there are two mono lights available by my last count that include TTL metering. That’s the Profoto B1, and the Profoto B1 Knockoff, the Indra 500 made by Phottix. Time is money, and you save a lot of time having strobes that support TTL. These two lights are also the only mono lights presently that function at shutter speeds faster than the native sync speed of your camera. Other monolights, like the Einsteins, are limited to the max sync speed. You cannot shoot in high speed sync with them, so lighting conditions have to be optimal to maintain a shallow DOF when shooting mixed lighting outdoors. 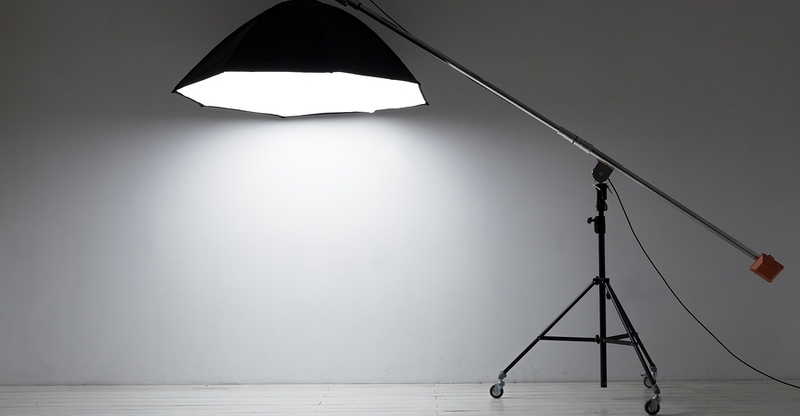 The one light you discourage specifically by name is probably the one light that is the best overall solution for studio and location lighting. Though it is expensive, it is considerably more cost effective than speedlights and out functions other monolights. The B1 is also battery operated. You can lug bulky power packs around to use other mono lights on location, but it is a major inconvenience and can be a lot of labor. Paul Buff offers smaller lithium packs, but they have sensitive power inverters that often fry. The B1 has a flash duration that is faster than most monolights and equivalent to speedlites at the end of the day as well. I would love to see the Indra perform as well as the B1 at half the price, but after reading the customer complaints and seeing how frequently the bulky battery packs were having to be replaced, I didn’t want to take the chance of having one die in the middle of a wedding or some other shoot. Sometimes it really is just a case of getting what you pay for. I probably sound like a Profoto employee or fanboy, but I assure you that I’m not. The B1 in particular is a money saver for those who shoot both in the studio and on location a lot. It’s reliable, more durable, and much more cost effective in the long run. Not only that, but it enables you to achieve the soft even coverage, with better light placement and the power to fill larger modifiers, with have of the hassle in half the time. For those reading this article, you’d be making a huge mistake not to consider the B1. After hassling with stacking multiple speedlights for a few years, dealing with super slow recycling times and overheating, going through batteries like water, and all the breaking down and setting up, the price tag on that B1 started to look much more like a great investment, and that’s just what it has been for me since getting a single B1. It has proven to be the perfect all around solution for me. If you strictly shoot in the studio, then grab some Einsteins and you’ll have all you need. Paul C Buff modifiers are unbeatable too! Anyway, I feel like this article shows some pretty strong bias. It feels more like the article is serving sponsors who are competitors of Profoto rather than offering good advice to photographers. I love getting more for less, but it’s more important to consider the big picture and the long term investment. You’re not really getting more for less in most cases when you opt to stack speedlights, or if you opt to use other monolights for shooting on location. The biggest lie has nothing to do with lighting, and everything to do with how easy it is to be a “professional” photographer making decent money in this once great profession. For all of you newbies, this is a good read. Years ago I attended a workshop given by James Schmelzer, it was about the quality of light. He covered all of the topics listed here . I consider what is written here as quality advice. Luke Roe This one’s for you, bub. I agree in-as-much as the way he redefined what quality of light meant to him…so that he was totally discarding very important factors like the size of the light, overall power of the light, and how adjustable the light is. If we are only talking about the color of the light, then yes…it makes very little difference what the source is…even if your source light is slightly off color you can easily gel it. However, I’m afraid the overall impression the article leaves you with is that people who buy more expensive lights are wasting their money because a cheap flash can do everything that your profoto B1 or Einstein can do…and that’s absolutely positively not true. Yes, a standard speed light used off camera can give good quality of light….but not the same quantity of light. Yes you can use modifiers….but if the lens on the end of your speed light is only a few millimeters across, and the overall power output is not nearly as high…then it will affect what you can do with it….in terms of trying to duplicate what you can do with the more expensive lights. A cheap Ebay mono-light can give you plenty of power….but they aren’t very adjustable. If you want to try to shoot at f/2.8 you will need a pretty large studio space to move those lights back far enough to get that….or use heavy scrims, or an ND filter. In short….if “quality of light” is the only factor you care about, and you define it the same way he did here, so that none of those other factors count as “quality of light”…then yes, there’s absolutely no difference. However, if you need ultimate adjustability (from f/2.8 to f/16), and repeatability (where the light measured with a flash meter is consistent between pops) and enough power to do what you need to do….plus for certain types of photography the flash duration comes into play…and that certainly is different from speed light to speed light…let alone when compared to high end monolights. For some people that ability to use them for whatever purposes they need, also counts as “quality of light”. Quality of light is correct, though it is the modifier that will produce better light quality, it isn’t limited to just size. How the light graces the modifier and how well the modifier handles the light matters most. I have known many photographers to be happy with the light from a shoot through umbrella, yet I found the light from umbrellas to be terrible. I had to create my own speedlight holder so that I can better manage how well the umbrella and speedlight can come together to produce better light quality. I have been in collaboration with another photographer, who has since improved my design to be even better. Together we figured out how to evenly light the whole umbrella instead of just part of it. I began searching for better light quality and have learnt that it is a big misconception to think a bigger light source is better. I have found that most modifiers produce harsh specular light that doesn’t look as specular due to diffusion. For me quality of light is not just a big light in relation to the subject, but is a big light modifier that is evenly lit. I’ve found even Profoto gets this wrong. Let me build on this further. Light has a spectrum, and different lights produce different light quality that captures more of less of particular colors in the visible spectrum. An incandescent bulb produces nasty light because it is very dominant in red light but has little blue light, and little magenta. Each pixel on a sensor (in most cases) has one red and blue photosite, and two green photosites. If the light has little blue light you just lost a quarter of light, and as a result impacted SNR and lost a lot of quality. People with color blindness are called color blind and don’t see as well because their eyes cannot gather as much light. Your light modifier will impact color of light and to some degree you will lose quality. Yes light has a quality, and to say it doesn’t is being silly. Trust me a big light source must produce even light for good light quality, therefore I disagree with the point of the article and feel most people clearly don’t understand light quality. When you have cheap strobes set to different power levels, and one is 500K warmer than the other, grey card’s not going to help much. This author doesn’t address the two of the more obvious things you get from more expensive strobes: color and power consistency from flash to flash and color temperature stability across different power settings. These things are very important in multi-light setups. The assumption that these shifts and differences are “slight” is bogus. More expensive modifiers are usually just built better. Many are arguably overpriced. A 2’x2′ softbox at 20′ from a subject the size of a shoebox will be harder than an 18″ softbox only 12 inches away. It isn’t the size of the box and distance from the subject alone. Size of source IN RELATION TO the size of the subject is what makes soft or hard light. A 60′ sotbox at 200 ft is pretty small and will provide a point source. Consider the sun. Big source, far away, tiny in relationship to the subject of your dog. Hard light. In addition, there are truths and there are half truths. Most lights equal out once you put something between them and the subject. Scrim, umbrella, softbox etc… But compared open, with no modifier, differences can be seen. That can be explained by the different qualities of reflectors of course. But the difference will not make or break a shot. This sentence has no base for evaluation, and can be shown to be totally untrue since there is no discriptor of how big the big light is, how far away it is, what the size of the smaller light is and what size the subject is. Soft light is determined by the size of the light source IN RELATION to the size of the subject. A breadbox lit with a 50×50 softbox at 30 feet will be harder light than a 12×12 softbox at 18″. As far as that goes, no, this is not the biggest lie in photography. There are more and in ways more insidious than this. And this ‘lie’ only works on photographers who want to stand around and talk about photography instead of actually doing it. And they don’t really count. I am going to disagree, to an extent, with all of you. The ‘quality of light’ has nothing to do with it being good or bad. It is all about the attributes of the light: duration, color temp, etc. But the most important thing you get from better quality flash is consistency. Devices should put out light with consistent attributes from flash to flash to flash. Without consistency, you never know what you are going to get from the next exposure. From a pure economics perspective, if you need 1,000 ws, a pair of Profoto B1s would be much cheaper than 10 Nikon SB910s and much simpler to deal with. Their consistency and indestructibly are why I prefer Profoto. Everything else is gravy. Buy what you can afford, that will do the job. Photography is a never ending expense. Consistent light temperature is very important to most serious photographers. Some inexpensive brands have color shifts or vary from one unit to another. Always a nightmare when mixing color temperatures. No one correction is right. Quality of light is knowing what you are getting across the frame and from the first frame to the last. Catch light in the eyes reflect the shape of the softbox. Maybe you do not care, but some shapes do not appear natural. Yes, the shape matters! Light. Separates out the “amateurs”. I agree with much of this, but I’ve burnt out cheaper units. In my studio I want fast recycle times and I drive the lights hard, often with 600 bursts in an hour. All I care about is the physical and electronic robustness of the system. Mods do everything else and I don’t care about the “quality” of the light at the flash since what gets to my subject is determined by the mod. I like a power pack on the floor with only the flash tubes and mods up on the stand. I’d rather see that fall over and bang on the floor than an expensive monolight! Light is Light… yes there are different wavelengths and that messes with white balance but if you shoot in RAW who cares? I have some inexpensive studio gear and I can get great results with it. I mix studio strobes and speed lights. The key IMHO is in Post Processing the RAW file. this article is way to general to either agree or disagree with. Great article….I was thinking of spending over a grand on expensive strobes and yet stuck to my guns and used my flashes instead for my studio photography work that I just started to get into….and I am VERY happy with the results :-)…. No, no, NO!! …..You MUST buy the expensive one’s! You also MUST do what the government tells you to do, you MUST do what the liberals want you to do…etc. ….Just kidding…. Buy the cheap lights. Light is light. The section on lighting modifiers is incorrect. Distance from a subject does affect the harshness and softness of that light. Shadows are softer when a light is placed close to the subject. That same light placed further away will produce a shadow with a harder edge. There is no good or bad light, there’s just light. The photographer learns to use the light to achieve the desired result. It explains why so much of the prattle one hears about lighting equipment is nonsense. Light quality is often used to describe the spectral distribution of light. An LED light source, for instance, may be a few spikes at a few colors, while under-illuminating all other colors. A tungsten light, while quite yellow, may offer smooth, even lighting across the entire spectrum. So, in direct contraction to the conclusions of this rather science-free article, there is such a thing as light quality, and the author entirely fails to address it.